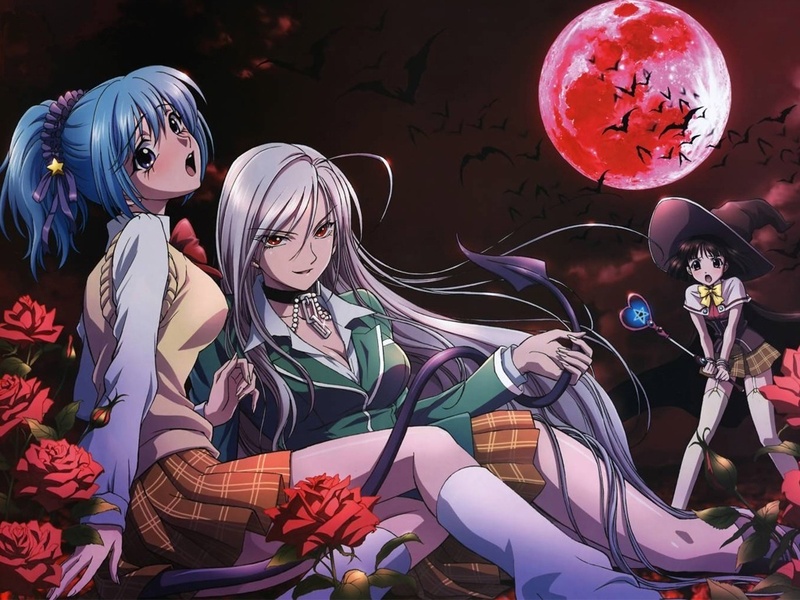 Rosario + Vampire. . HD Wallpaper and background images in the Rosario Vampire club tagged: rosario vampire. This Rosario Vampire wallpaper might contain anime, comic book, manga, and cartoon. lol Yukari is just randomly standing in the background.